Matt’s Fish Camp is a relaxed seafood spot featuring classic east coast dishes and sussex county, delaware, favorites, including oysters on the half shell, crab cakes, ipswich clams, lobster rolls, fried chicken and the famous lobster cobb salad. located between lewes and rehoboth beach -- and convenient to the cape may-lewes ferry terminal -- Matt's fish camp sports a casual, beachy vibe. belly up to the oyster bar or relax in a cozy booth. make yourself at home, and enjoy some of the freshest seafood on the culinary coast. Open daily for lunch and dinner AT 11:30 a.m.
Matt's Fish Camp is a great seafood restaurant located on Route One in Lewes, Delaware. Serving fresh seafood, locally sourced when available, and fresh local seafood, the menu reflects both the bounty of Southern Delaware and the unique style of the chef. Matt's fish Camp also features a full bar, great for enjoying lunch or dinner, and a full raw bar, always carrying a selection of local and regional fresh oysters. 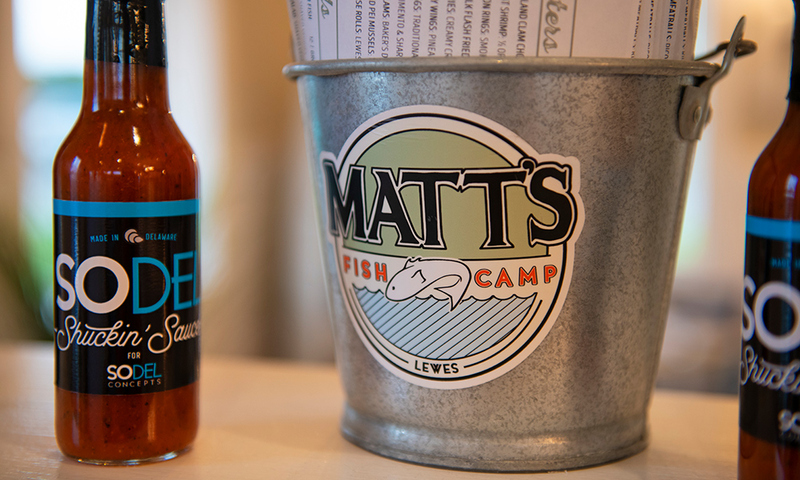 Once a house on the highway, Matt's Fish Camp was transformed into a great Lewes restaurant serving fresh fish, crab cakes, the famous Matt's Fish Camp Lobster Cobb, and a selection of comfort foods, like the crowd favorite fried chicken. Serving lunch and dinner every day year round, Matt's Fish Camp Lewes is the place for a great meal with friends and family.